BALSUM GHUT, Tortola, VI – More than three months after the news hit the public and had taken especially senior persons in the legal system by surprise the compromising condition of some cells at Her Majesty’s Prison (HMP) being covered with canvas still exists. 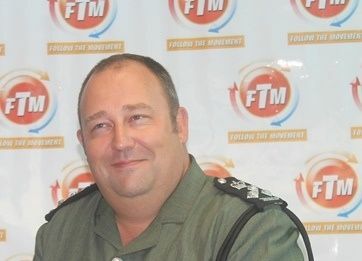 This was confirmed by the Superintendent of Prisons, Mr David Foot in an exclusive interview with Virgin Islands News Online yesterday March 24, 2014. The grave situation which was of much concern to senior management of HMP was highlighted in the report to the High Court on December 16, 2013 as Assistant Superintendent of Prisons (Ag.) Mr Royston L. Percival was giving his report as part of the closing exercise for the year end assizes 2013. 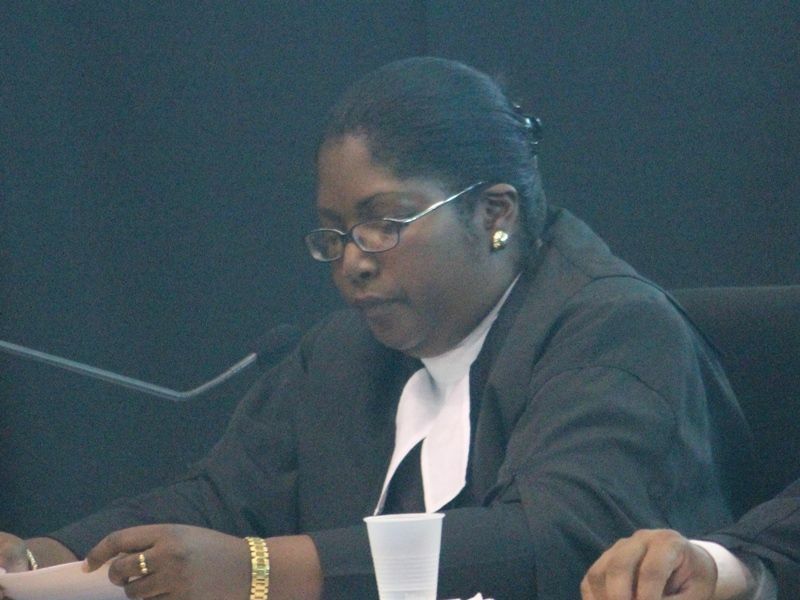 The news did not go down well with High Court Judge Ms Vicki Ann Ellis and Attorney at Law Stephen Daniels who were both forced to remind Mr Percival of the rights of prisoners and admonished that the problem be looked at urgently. The word urgent seems to not have taken the effect for its true meaning as some three months later the problem still exists. According to SoP Foot the responsible Ministry headed by Minister for Education and Culture Honourable Myron V. Walwyn, has managed to secure funding to affect the repairs. “I would hope that in a reasonable time-frame you would see the tender process begin but I know that he lobbied hard to ensure that he got the [funds] to fix the roof,” said Mr Foot. He said that because of two main conditions he was unable to estimate a possible time frame for the completion of the project; the tender process and space in the prison to reshuffle inmates to allow the repairs to take place. “There are issues with the capacity with the prison and how we move prisoners around to make sure that we can safely repair the roof because obviously we are very full,” Foot noted, adding that he has the task of finding assistance to safely house the prisoners and other things to have the repairs done. Mr Foot was however confident that the repairs will be done by the end of 2014. “The time we would start on that I can’t give you a date but what I can tell you it’s before the end of the year and the Minister ( Hon. Walwyn) has gone into bat and he has secured that funding so we would be pushing ahead with the roof,” affirmed Mr Foot. SoP Foot took up the position in December of 2013 ahead of Mr Charles L. Forbes, an indigenous Virgin Islander who was acting in the position of SoP. Forbes was given the boot which saw him losing his employment with the Government of his own home land. What the last para of the article seems to suggest is that government has to employ us BVIslanders whether we are good or bad at our job. Wake up people! We have to compete and perform. Thank you tax! Put them to work yes, they up there doing nothing but sleep, eat, sh!t & live on ppl tax dollar while we out here busting our behinds to survive. I say put them to work, just provide them with the materials needed & let them get their hands dirty. Let us not make any mistakes come next elections NDP must go!!! !